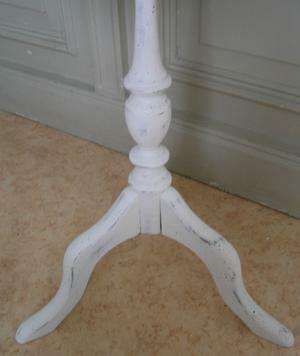 Small, antique white, handpainted table/sideboard with three legs. 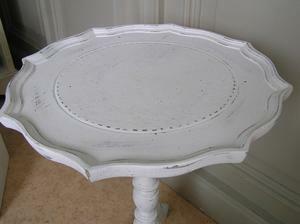 Distressed, shabby chic style. 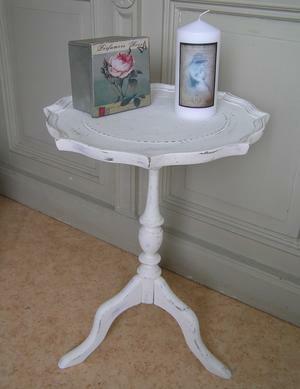 Pls contact Himlarum if you want to order it!